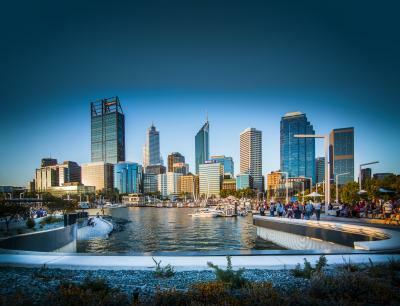 Perth has had a strong start to 2019; Q3 has wrapped up with 36 national and international conferences and corporate events, 17 site inspections and four famils held across the State, along with PCB attendance at two tradeshows promoting Western Australia. This quarter saw a 28% increase on Q3 2017/18 in the number of association conferences confirmed by PCB, securing approximately $29.9 million in Direct Delegate Expenditure (DDE) for conferences from key industry sectors such as health, education, environment and finance. In the corporate and incentive market a total of 2,014 delegates have visited Perth from regions such as Singapore, Malaysia, Korea, China, India and Indonesia, with a further estimated 2,700 delegates secured for corporate events out to late 2019.
conference is expected to attract 600 more delegates than their last conference held in Perth in 2014, bringing the total number of delegates to approximately 1,400 this year. “Murdoch University has one of the strongest veterinary programs in the Southern Hemisphere, and it’s great to see such a prestigious event being held in WA to reflect the quality of expertise we have in our State,” said PCB Acting CEO Gareth Martin. “WA’s strong veterinary field is a great asset to the State and makes Perth attractive for a potential world conference in the veterinary discipline, with a bid currently under development,” he added. A further 25 clients visited Perth this quarter for famils that PCB conducted in conjunction with TFE Hotels and Crown Perth. Clients who attended the TFE famil in mid-January enjoyed a traditional Australian barbeque at Rendezvous Hotel Perth Scarborough, explored Rottnest Island with an eco-friendly Segway Tour, enjoyed an adventure jet boat experience, dined by the ocean at Odyssea City Beach, wandered through the iconic Kings Park, and watched dusk fall over the twinkling backdrop of the city skyline from Rambla on Swan in South Perth. February saw another group of clients visit Perth for the Crown famil. This group enjoyed meals in the exclusive Chairman’s Villa, private Mansions, and dined al fresco under the stars at Lamont’s Bishops House. They later flew to Rottnest Island by helicopter and seaplane for a day of activities, followed by a visit to the Swan Valley tasting local beer at Mandoon Estate and wine blending at Sandalford Estate. Thank you to all clients who took the time out of their busy schedules and to our PCB members who assisted in bringing these famils to life; your contribution is vital in helping us showcase Perth as an extraordinary business events destination.